Self-Propelled, Track Drive Commercial Snow Blower. 12.2 h.p. LCT gasoline engine. Track Drive System for superior traction on slopes. Each track has finger controls for power steering. Connect to a power outlet and start the engine by pressing a button. Two Stage, High Speed Impeller for fast snow discharge. Equipped with hand warmers, front weights, and LED spotlight for operator comfort. Designed for any snow removal projects. 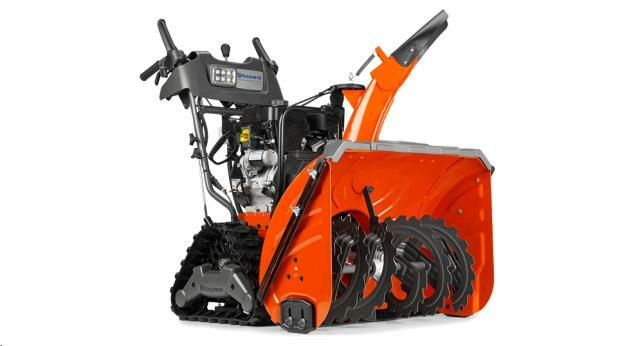 * Please call us with any questions about our snowblower 30 inch track 12hp rentals in Oak Grove MO, Blue Springs MO, Independence MO, Lexington MO, Odessa MO, Independence MO and Western Missouri.